One in three children lose touch with a parent, usually the father, following a divorce. In a recent survey, one in five parents stated that their primary objective during the divorce was to make the experience as unpleasant as possible for the former spouse; despite the effects such attitudes and behavior have on the children. One in three children stated that they felt isolated and lonely during and following the divorce process. Parental Alienation Syndrome is the systematic denigration by one parent with the intent of alienating the child against the other parent. In most cases, the purpose of the alienation is to gain custody of a child and exclude involvement by the father. In other cases the mother wants the father out of the way to start a new life, the mother wants more of the money and assets than she is entitled to and uses the children as pawns. The mother hates the father and the children become false weapons. These are just a few reason Parental Alienation occurs in domestic disputes. Parental Alienation Syndrome is common because it is an effective device for gaining custody of a child. Trough systematic alienation, one parent may slowly brainwash a child against the other parent. The parent involved in such alienation behaviors then gains misplaced loyalty of the child. 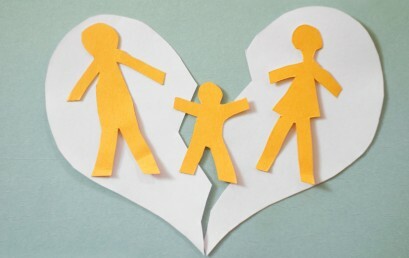 There are two types of Parental Alienation Syndrome, medical and legal. Medical Parental Alienation Syndrome is a form of emotional child abuse. Parents in hostile separations may suffer depression, anger and anxiety or aggression. The expression of these feelings often takes on a form of withdrawing love and communication. This extends to the children through the custodial parent. It is a mechanism employed to stop the father from having contact with his children; and can be described by the mother holding the children “hostages,” afraid of the mother, and obeying her as a means of survival. The child may also be instilled with false memories of the father, may be coached and/or brainwashed. Parental Alienation Syndrome is recognized by the courts but is very difficult to define and in most cases requires bringing in County Social Services, Child Protective Services, and/or other professionals. Anyone claiming Parental Alienation Syndrome should look for family therapy as a constructive way forward. Other forms of abuse are physical, sexual, and neglect and are much easier to identify. It is important no matter how bad the alienation becomes that you strategize to create a line of contact with your children, the mother and anyone connected to them. Having a plan is critical. When a father loses contact with his children he goes from disbelief, to despair, anger, depression, confusion and a total sense of social injustice. Having a plan means looking at the situation logically, rather than emotionally. 1. The first stage is to look for direct contact with the mother and children. Can you meet, write, or phone? 2. If you are not allowed contact, can a relative contact the mother or children on your behalf? 3. Can you contact your children through church, school, clubs, sports activities, or daycare? 4. Can you participate in your children’s activities? 5. Do you have a non-suggestive witness that can go with you when you exercise your visitation rights? 6. Is there a local grocery store where you can purchase something to have a receipt stating the date and time you were in the area? 7. Will the police make a report stating that you attempted to exercise your visitation? 8. Whenever possible take video and pictures. In cases of Parental Alienation Syndrome it is important that you document everything. Keep a diary or timeline. Write important events down on a calendar. If you are a victim of Parental Alienation Syndrome, contact an attorney. Discuss your options. Formulate a plan to move forward. Do not give up your parental rights as a father.